Smartphones and tablets are great for watching movies and videos while you're out, but at home, the screen is just too tiny. There are quite a few projectors on the market that work with mobile devices, but they can get pricey. The good news is that it's pretty simple to hack your own projector with items that you probably already have. 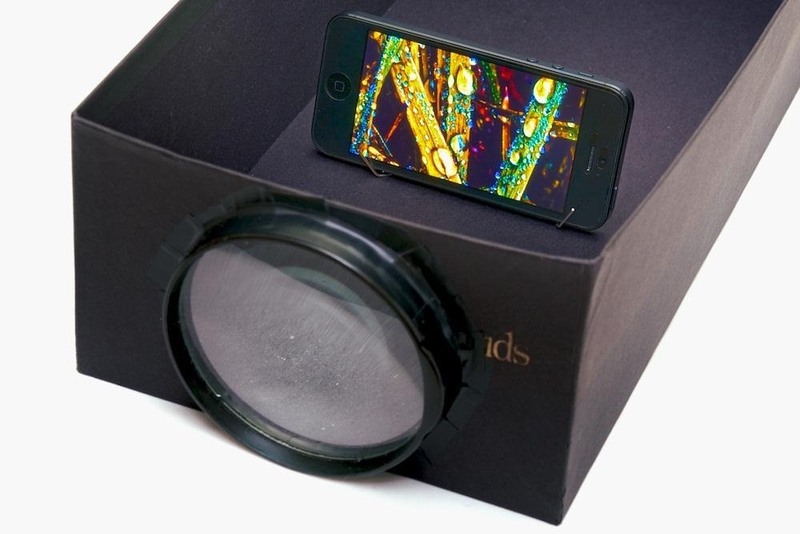 This DIY projector made by the folks at Photojojo is made out of a cardboard shoebox, magnifying glass, a paperclip, and some electrical tape. 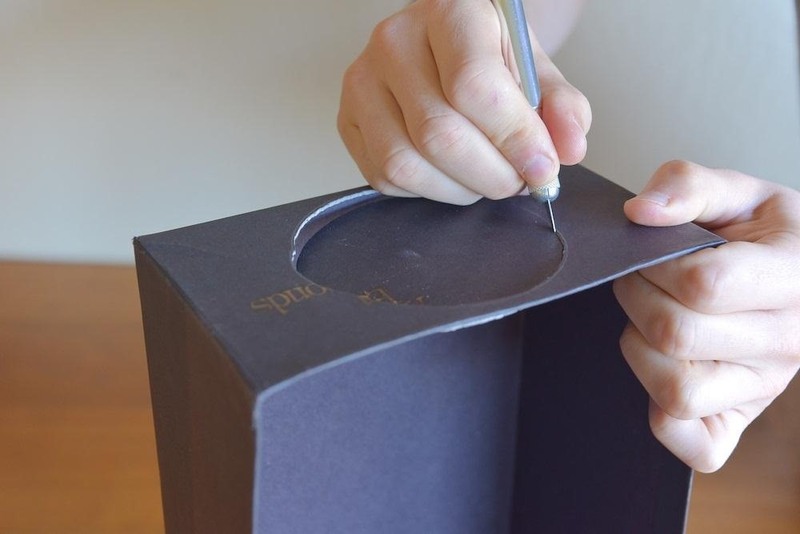 Start by tracing the outline of your magnifying glass onto one end of the box. Use an X-Acto knife to cut around the line, then cut a small hole in the other end for the power cord. Next, use electrical tape to attach the magnifying glass to the box. Make sure you get it to fit tightly so that no light escapes. 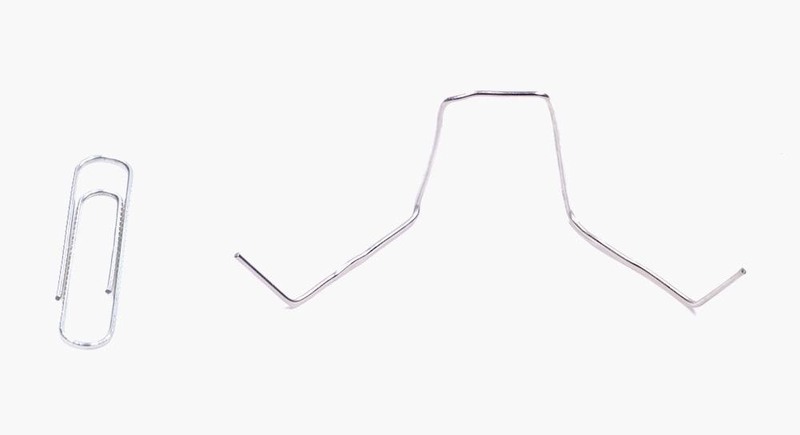 Now, take your paperclip and bend it into a little stand for your phone. Here's the tutorial where they got the idea, for reference. You'll have to experiment a little to figure out the best placement for your stand (it will also depend on how high-powered your magnifying glass is). Your projector is now finished. In order to see the picture correctly since it will appear upside down when it goes through the lens, you'll need to flip your screen. On an iPhone, you can do this by going to Settings -> General -> Accessibility, then switch Assistive Touch to ON. Tap the little white circle to bring up the menu, then go to Device -> Rotate Screen. For Android users, there isn't a way to force your screen to rotate without an app. Photojojo suggests using Ultimate Rotation Control, which is free to download from Google Play, but after a 7-day trial you'll have to pay to keep using it. I wasn't able to find any free alternatives, so if anyone knows of one be sure to let us know in the comments below. For more details on building the projector and setting everything up, check out the full tutorial over on Photojojo. 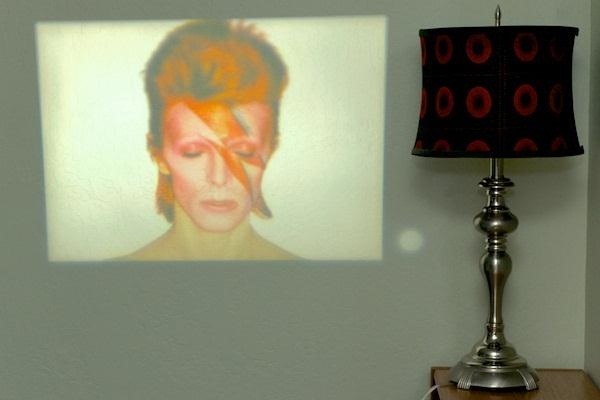 You can also try this other DIY projector created by one of our users here at WonderHowTo. Need a screen? You can paint one on your wall for less than fifty bucks, or build a more professional-looking screen using a wooden frame and some spandex. For Android, you can use Rotation Locker. It is free. Where i can get that mag. glass? maybe you now size or other spec. I dont get any bright colors at all and its really dark. Can it be because the hole for the magnefiyng glass is a little smaller thwn the hole in the box ? There's no way you'll be able to get a useful image from this "hack". You're spreading out all the light emitted from a tiny screen onto a surface that has MUCH more surface area. The only way you'll be able to see a discernable image is if you make the room perfectly dark (seal all the windows with 2 inches of concrete) then wait 15 minutes for your eyes to adjust. Any other source of light, no matter how insignificant, will require another 15 minutes to adjust. "Time is money and money is time. Sometimes the money you save isn't worth the time wasted. -Anonymous"
But, how the image will be projected over wall? this is what i would like to know. Will this work with a square/rectangular magnifying glass?